We’d love your help. Let us know what’s wrong with this preview of Cottage by the Sea by Robin Jones Gunn. From bestselling and award-winning author Robin Jones Gunn—a poignant novel about a woman who must care for her ill and elderly father, hoping to mend both his health and their relationship. A daughter’s gift of time, a father’s silent wish. Erin Bryce and her best friend, Sharlene, count the day they start their wedding planning business as a very happy day. So much so t From bestselling and award-winning author Robin Jones Gunn—a poignant novel about a woman who must care for her ill and elderly father, hoping to mend both his health and their relationship. Erin Bryce and her best friend, Sharlene, count the day they start their wedding planning business as a very happy day. So much so that they name their company The Happiest Day to reflect the fulfillment of their long-held dream as well as their clients’ longing for a wedding celebration to match the exhilaration of being in love. As a bonus, the two women utilize their business to help Erin’s son Jordan and his fiancée, Sierra, plan a grand wedding. But the two friends aren’t prepared for the cloud moving in to cover the sunny, successful start of their business. Erin’s father, who lives in a small coastal Oregon community with his brusque, downright odd second wife, Delores, develops a medical problem that puts him in the hospital. Erin responds by rushing from Southern California to her father’s—and oh, yeah, Delores’s—cottage by the sea. To ask other readers questions about Cottage by the Sea, please sign up. My opinions on this book are mixed-- conflicted, even. I have to start out by saying that I've been reluctant to read Christian fiction. One reason is that I really don't want to read a book that preaches at me. That was not an issue at all with this book. The other is that I really don't want there to be a shortcut, where God reaches down and fixes everything, and the righteous live happily ever after. This was an issue for me with Cottage by the Sea. On the one hand, I really liked Erin and the My opinions on this book are mixed-- conflicted, even. On the one hand, I really liked Erin and the way she handled a very tough situation with faith and strength. In fact, I thought all of the characters were interesting. I liked the writing in this book, and I felt it delivered the story as intended, with only a few exceptions. I thought the book portrayed a very real, very tough situation, as Erin attempts to come to terms with the ups and downs of her past, and she tries to mend ties with her father who both loved her and hurt her. Overall, her reactions were exactly as they should have been. So why am I conflicted about this book? There is an early section where Erin describes her husband's history of depression. The book gives realistic detail about his sinking into a state which threatened her family. When she couldm't take any more, she turned to her mother, who told her to pray. And she did. And everything got better. By the time the book takes place, he is the rock she can rely on. And this bothered me. Because if prayer was the cure for depression, I know of several people that would be living happier lives. If prayer had given her strength, and pointed her to someone (a therapist, a religious leader) that had given him the help to fight his way out, with her by his side, I would have been very happy. But that's not what happened. On the other hand, this was a bit of history, not the meat of the book. So I wasn't going to let it get in my way. And indeed, there were no more miraculous interventions through the majority of the book. Unfortunately, the end of the book was riddled with them, situations which suddenly veered off the path that events were leading them to. Erin still suffered loss, but too many other things were cleaned up far too neatly for me, in a way that I didn't feel honored the rest of the events or her journey. Wow! I am still trembling with the emotions! This is one of the best books I have ever read. There was SO MUCH to like I hardly know where to begin. 1. Each chapter began with an Irish blessing. I am in love with all things Irish, so this made it special to me from the beginning! 2. The protagonist of the story constantly reflects on things her mother said, or things her mother had written in her journal, and they were truly profound things, all helping me with my current journey to develop a more Wow! I am still trembling with the emotions! This is one of the best books I have ever read. There was SO MUCH to like I hardly know where to begin. 2. The protagonist of the story constantly reflects on things her mother said, or things her mother had written in her journal, and they were truly profound things, all helping me with my current journey to develop a more intimate relationship with God. 3. It was about an aging parent, facing his last days of life ... since I just put both my parents in a nursing home last summer, this was subject matter that really hit home to me. 4. There were depictions of one of the prettiest parts of our country ... the Oregon coast ... with it's beautiful sunsets ... but even descriptions that made the many gray days shine with a beauty of their own. 5. There were lots of people relationships ... some good, some not so good ... and many lessons for each of us to learn about those relationships. 6. It was a tender story of love ... between a father and daughter ... between a father and son ... between a sister and brother ... between a husband and wife ... between business partners and best friends. 7. There were a few comical moments ... MANY tears shed as I read the book ... delightful scenes and horrible scenes ... and the entire book can be summed up in this quote: "It's a brutal mercy when things like this happen. But you and I both know that if you dig past the brutal part, you'll find the mercy." I found myself frustrated by this book. I was excited with her starting her new business and wanted to hear how that was going to work out. Then before she even went on her first appointment she gets the call that sends her rushing to visit her father (which I would have too, don't get me wrong). While there we see that she hasn't had the best relationship with her father because he remarried and moved away after her mother died. He expresses in his way that he wishes she had visited before and I found myself frustrated by this book. I was excited with her starting her new business and wanted to hear how that was going to work out. Then before she even went on her first appointment she gets the call that sends her rushing to visit her father (which I would have too, don't get me wrong). While there we see that she hasn't had the best relationship with her father because he remarried and moved away after her mother died. He expresses in his way that he wishes she had visited before and she promises to come again soon. But once she is home, she finds other things that are more important than her relationship with her father and doesn't visit him or seem to keep in very good contact with him for the next 18 months. She finds out that he has had relapses in his illness quite a few times over the past 18 months and now is bedridden (for the past 3 weeks and she had no idea!!). She rushes up to see him and finds that she will have to be the main caretaker for him. Mixed in with all of this are offshoots about her previously bad relationship with her husband, how her mother was perfect, her business partner wanting to sever their partnership, her step-mother leaving for what seems no reason, and what a horrible relationship her brother has with their father. I felt it was hypocritical when she would comment about wanting to heal the relationship between her father and brother. SHE didn't even have a good relationship with her father. I really don't like it when I feel like books are in between 2 or 3 stars. :/ That's the case for this book. I like Robin Jones Gunn's writing, but it seems I need to be in a certain mood for reading. Robin's stories are usually more focused on emotions and deep truths rather than original plots and plot twists. That's totally okay, I think, but I feel like reading a book with a really engaging plot right now. That's why I gave it a lower rating. The story was pretty good, and I felt the emotions I really don't like it when I feel like books are in between 2 or 3 stars. :/ That's the case for this book. The story was pretty good, and I felt the emotions were realistic. Robin knew what she was doing as she wrote. It was sad, but also infuriating how Delores acted (at least at first), but it was wonderful seeing how Tony came back. I had a strange relationship with the book Cottage by the Sea by Robin Jones Gunn. That may sound weird, but it is truly the only way I can think to describe how I felt about it. I enjoyed the book and I would recommend it for anyone to read. Yet at the same time, the story very closely resembled my own recently. While I won't go into detail about that, I will say it was both comforting and uncomfortable. My favorite part of this book was how the author made the characters so real. Each one had g I had a strange relationship with the book Cottage by the Sea by Robin Jones Gunn. That may sound weird, but it is truly the only way I can think to describe how I felt about it. I enjoyed the book and I would recommend it for anyone to read. Yet at the same time, the story very closely resembled my own recently. While I won't go into detail about that, I will say it was both comforting and uncomfortable. My favorite part of this book was how the author made the characters so real. Each one had good traits and bad, whether they meant to or not, and many different characteristics made them multi-dimentional. She showed just how it is possible to love someone more than life, yet hurt them almost beyond repair. Some never realized they were hurting anyone, while others knew exactly how much they were hurting the very ones who cared for them. The only part I didn’t like was that the middle seemed to slow a little. Very long and descriptive sentences seemed in some parts to tell rather than show me what I wanted to know. Because of that, I became a little bored just for the middle, but I had to know what became of the characters. I am glad I finished the book, because the last quarter picked back up again, and came to a satisfying conclusion. All in all I give the book four stars, and recommend it to anyone who has people in their lives to care for that they are also trying desperately to understand. Erin and her friend Sharlene have just started their own wedding business called The Happiest Day, when Erin receives a phone call that her dad has had a stroke, she rushes to the Oregon coast to see how he is because his new wife Delores is not at all what Erin believes is right for her dad. Her father tells her to go back home since she has just started her own business, she does. During her son Jordon's wedding reception which her father and Delores were suppose to attend she finds out that h Erin and her friend Sharlene have just started their own wedding business called The Happiest Day, when Erin receives a phone call that her dad has had a stroke, she rushes to the Oregon coast to see how he is because his new wife Delores is not at all what Erin believes is right for her dad. Her father tells her to go back home since she has just started her own business, she does. During her son Jordon's wedding reception which her father and Delores were suppose to attend she finds out that her father has had more strokes. When she arrives again her father is a shell of a man. This breaks Erin's heart. To her surprise her husband Mike, thinks the cottage that her dad and Delores have fixed up is quite appealing and the coast as well. This book hit home as a dear friend suffered a stroke two years ago and it's been hard to watch him suffer. I've known him since I was a baby. I loved how this book had characters from Love Finds You in Sunset Beach Hawaii. Loved it! For anyone going through the death of a loved one, or previously unloved one, this is a great journey of self-inspection and learning to put yourself in other's shoes. Erin Bryce and her best friend, Sharlene, count the day they start their wedding planning business as a very happy day. So much so that they name their company The Happiest Day to reflect the fulfillment of their long-held dream as well as their clients’ longing for a wedding celebration to match the exhilaration of being in love. As a bonus, the two women utilize their business to help Erin’s son Jordan and his fiancée, Sierra, plan a grand wed A daughter’s gift of time, a father’s silent wish. A poignant story about a daughter's decision to stay with her father after he falls ill. She must decide the best course of action because she's being pulled between caring for him, having him move back to where she lives and the fact that she just started a business with her best friend. It was a very good read with a pleasant ending. This is by far one of my favorite reads. I could relate to Erin in so many ways as my mother had many strokes and I was her caregiver. How this author wrote this is exactly how I felt during my journey with my mother and her health. Thank you for putting it all on paper so others can read and possibly feel how it is to live through such an experience. Another poignant read by Robin Jones Gunn. She takes a difficult topic, an aging parent, and makes it a realistic story of a daughter's struggle, caught between conflicting emotions and responsibilities. Isn't it amazing how you think you have things all set up for your life and your future and then just in one second, everything changes. i like this book because this is what happened, and Erin really learned a lot and was drawn closer to God in the process. Very well done! A sweet book about doing what is right even when it is difficult and the hidden blessings God sprinkles in our lives. I enjoyed this book and it was a very easy read. Very touching and emotional. A beautifully crafted, heart warming and tear bringing story of a daughter's love for her father. Family relationships are difficult. This book deals with them honestly. Liked the Irish blessings at beginning of each chapter. A little heavier than the usual Robin Jones Gunn; however, still an amazing book! Two squeezes meant simply that I love you; three squeezes in return meant I love you too! That was the way things were communicated silently in the Bryce family, only Erin really needed this confirmation from her father which was always left with wanting more. As Erin Bryce and her best friend Sharlene prepare for the launch of their new wedding planning business, The Happiest Day, she receives a phone call from her dad's wife, Delores telling her that he has had a stroke. Erin immediately leaves Two squeezes meant simply that I love you; three squeezes in return meant I love you too! That was the way things were communicated silently in the Bryce family, only Erin really needed this confirmation from her father which was always left with wanting more. As Erin Bryce and her best friend Sharlene prepare for the launch of their new wedding planning business, The Happiest Day, she receives a phone call from her dad's wife, Delores telling her that he has had a stroke. Erin immediately leaves for the small beach side community of Moss Cove in Oregon to see how her father is doing. When he appears normal and back to the old self she remembers, she books a flight home and begins to prepare herself for her new business venture but also a future wedding for her son Jordan. As Erin waits for her father and Delores to show up for the day of the wedding, she tries hard to keep her emotions in check. She blames Delores for keeping her father away and making all the decisions for him. When the day comes and goes with their presence missing, she phones her father's home and learns they are still there. Ready to unleash all her anger, Delores informs her that her father has suffered another stroke and this time he won't be returning back to his old self anytime soon. In the latest novel, Cottage By The Sea by Robin Jones Gunn, the reader is drawn into the story between a love that is needed by both Erin and her father, Jack. Now with a stroke removing his ability to verbal communicate, Erin and Jack have to rediscover a way to connect after so many years and reestablish the love that both of them need before its too late. This is a timeless story of one of the great needs I believe a woman needs to have in her life, the love of a father and Robin does such a wonderful job at completing this through her novel. I was moved to tears by how well she made me feel for both Erin and Jack's needs. I felt the frustration that Erin had toward feeling the care of her father was dumped on her shoulders while everyone else seemed to have a life to return to; her anger at Delores when she learns that Delores simply can not stay with someone who requires this type of care; and her crushing need to find a way to fix things between her and her father as communication between the two have a small window that seems to be rapidly closing. "Erin could now recognize the waves' varying sounds. She knew, just by listening to the intensity of the waves' roar through the open kitchen window, when they were crashing against the rocks and sending a spindrift into the air. She also knew when the sea was at rest, simply breathing in and out, sending the waves rolling to the shore and then curling them back. Today the sea was feisty. With a curled-up fist, it hurled the white-capped waves onto the shore. The salty avengers tumbled far up the sand before receding in haste and preparing for their next pitch. (pg 177)." Robin Jones Gunn in her new book, “Cottage by the Sea” published by Howard Books takes us into the life of Erin Bryce. From the Back Cover: The Happiest day…may be just around the corner. Erin Bryce and her best friend, Sharlene, count the day they start their wedding planning business as a very happy day. So much so that they name their company The Happiest Day to reflect the fulfillment of their long-held dream as well as their clients’ longing for a wedding celebration to match the exhilaration Robin Jones Gunn in her new book, “Cottage by the Sea” published by Howard Books takes us into the life of Erin Bryce. What greets Erin when she arrives sends her tumbling down a bewildering path to a different kind of happiest day. Her journey tosses her through highs and lows of hurt and healing, betrayal and renewal, wrong assumptions righted, and the brightest future one could ever hope for. All just around the corner, at the cottage by the sea. I do not know about you but I like the sea. I like the sound of the waves, I like to watch the tide roll in or out, doesn’t matter. Hanging out by a beach or shoreline is immensely calming for me. That’s why I like the title “Cottage by the Sea”. One, it is the sea and a cottage brings up the idea of a warm, cozy little place. Everything that Erin needs. Erin gets tasked with having to take care of her invalid father who has suffered two strokes and cannot speak. On top of that the stepmother decides to quit as she feels she cannot deal with the husband’s incapacitation. So in that environment Erin is tossed and needs all the help from the sea and cottage that it can bring. Ms. Gunn has given us a marvelous story of forgiveness, reconciliation and the special relationship between a father and a daughter. Every one of her characters seem to come alive and it feels as if we are intruding on this family as we watch the story unfold before us. “Cottage by the Sea” is all about families and relationships and that is what makes this book a winner. I enjoyed this book a lot and am looking forward to more from Ms. Gunn. What a great story! This is a contemporary work of fiction, but it is easy to see very real emotions and actions in very lifelike situations as shown by the characters. The main character is Erin, who is a 50-something-year-old, married, mother of three. She and her best friend, Sharlene, have been planning for 2-1/2 years the opening of their bridal planning business called “The Happiest Day”. On their opening day, they get their first client and things appear to be looking good for the future. All of Erin’s life she has sought the approval of her father. Just once she wants to hear him say he is proud of her or that he loves her. Her mother has died about five years previous, and her father has remarried and moved from California to the coast of Oregon. He has bought a rundown cottage that he and his wife slowly renovate to make into a charming home. It is called the Hidden Cottage and it is right on a cliff above the sea. He moved there saying that there was nothing left for him in California, which is where Erin lives. Ouch! Also, her father has been estranged from Erin’s brother Tony for 20 years. However, throughout her life her father and mother have been believers in the Lord, teaching their children by living their faith. A health crisis brings Erin to Oregon and into the company of her step-mother, who Erin sees as abrupt, controlling, and sometimes downright mean. How could her father marry someone who is completely the opposite of his first wife? Erin’s anger grows and causes her to make assumptions about certain situations. Erin begins to spend time outdoors in Oregon, appreciating God’s creation. The reader can see Erin’s emotions reflected in the actions of the waves of the sea. As Erin spends more time with her father, she begins to resolve her issues with her father and love him more. She also is about to drive her business partner and best friend to exhaustion as Sharlene must handle the entire flourishing business alone while Erin is in Oregon. Sharlene begins to make rumblings of discontent. Will they be able to work things out? Will Erin be able to keep her share of the business? Erin has a wonderfully supportive and loving husband. Together they make decisions after praying first. This book has it all on the emotional spectrum: love, forgiveness, mercy, anger, resentment, commitment, and much more. The author has done a great job bringing these characters to life and making their emotions easily identifiable with the reader. The way all the happenings are pulled together by the author to make a satisfying story that pulls at your heart strings is wonderful. My rating for this work of fiction is 4.5 stars. Book Summary: Erin Bryce and her best friend, Sharlene, count the day they start their wedding planning business as a very happy day. So much so that they name their company The Happiest Day to reflect the fulfillment of their long-held dream as well as their clients’ longing for a wedding celebration to match the exhilaration of being in love. As a bonus, the two women utilize their business to help Erin’s son Jordan and his fiancée, Sierra, plan a grand wedding. But the two friends aren’t prepared for the cloud moving in to cover the sunny, successful start of their business. Erin’s father, who lives in a small coastal Oregon community with his brusque, downright odd second wife, Delores, develops a medical problem that puts him in the hospital. Erin responds by rushing from Southern California to her father’s—and oh, yeah, Delores’s—cottage by the sea. What greets Erin when she arrives sends her tumbling down a bewildering path to a different kind of happiest day. Her journey tosses her through highs and lows of hurt and healing, betrayal and renewal, wrong assumptions righted, and the brightest future one could ever hope for. All just around the corner, at the cottage by the sea. This was a very well written story. It was moving, great characters, emotional and yet joyful in many respects. It was picture of an adult who cares for her parent as our faith exhorts us to care for the elderly and the ill. Robin Jones Gunn did a great job of providing a well painted picture of the Oregon coast and the cottage by the sea. It was a tear jerker at times and makes one think about how important relationships are to life. It also had an added bonus of tying in a different book’s characters which is always a gem for me. I love series and sequels. It is like seeing a long lost friend. I would like to thank Howard Books for allowing me to read and review this book in return for a free copy and I was never asked to write a favorable review by anyone. Disclaimers: I received a copy of this book from Howard Books in exchange for my honest opinion. Thanks for this opportunity! My Overall Thoughts/Impressions: This is the second book I've read by Robin Jones Gunn. I thoroughly enjoyed the first one I read by her and so I had high hopes for this one. The other novel I read from her was Finally and Forever from the Katie Weldon series and so this novel was very different in target audience and in the way it was written. H My Rating: 4 out of 5 stars. The other novel I read from her was Finally and Forever from the Katie Weldon series and so this novel was very different in target audience and in the way it was written. However, Gunn's ability to create characters that I adored and a world that drew me in remained constant. The moment that protagonist learns that her father is ill she jumps on a plane to go see him. At that instance, I felt my emotions being pulled into the book and found myself attached to the story line. Erin left behind her husband and her business to take care of a father with whom she had a strained relationship. That was both touching and inspiring. And to all of those who have ever had an ill loved one, this book rings true. Brilliantly written and beautifully developed a novel that I definitely recommend and one that I absolutely adored. In Summary: A incredible novel that is bound to uplift and entertain. Definitely one worth reading. The Wrap-up: Gunn's novels are written in a compelling manner that hits home. A beautiful novel that was nothing like I expected and yet better in every way. Read this one for an entertaining read that is poignant and will have you laughing, crying, and cheering the characters on go. Basically if you pick this one up, you won't regret it. I am a huge fan of Robin Jones Gunn! I especially love her Sisterchicks books, I wish she would write more of them. I hate to say this, but I have mixed feelings about Cottage by the Sea. Before I get to what I didn’t like, I would like to focus on the positive things. Anyone who has read one of Robin’s books knows what an outstanding writer she is. Her easy going writing style makes her books a real treat to read. 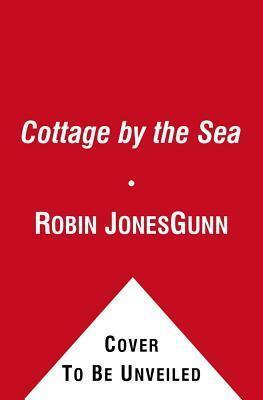 Cottage by the Sea had a lot of tender and sentimental moments that Robin is know I am a huge fan of Robin Jones Gunn! I especially love her Sisterchicks books, I wish she would write more of them. I hate to say this, but I have mixed feelings about Cottage by the Sea. Before I get to what I didn’t like, I would like to focus on the positive things. Anyone who has read one of Robin’s books knows what an outstanding writer she is. Her easy going writing style makes her books a real treat to read. Cottage by the Sea had a lot of tender and sentimental moments that Robin is known for, but it also had a lot of sad moments. Actually, most of the book was sad. I know that many people have experiences like Erin had in this story, but I just didn’t like reading a book that was so sad. Now, I think I feel this way because my dad has some health problems and we almost lost him a couple years ago. I didn’t care to read a story like this with such a sick dad. There was a lot more to the story, which included a lot of tender moments and the story ended on a sweet note that made the book worthwhile. Every so often, I read a novel that causes me to feel things incredibly deeply, submerging me into the pain and joy, trials and triumphs of the characters in a truly tangible way. Cottage by the Sea is one such novel, poignant, rich, reaching down into my soul and leaving me moved by the story contained within its pages. My heart both broke and rejoiced as I read Erin's story and watched her walk through a journey of discovery with her father, a journey that ultimately led to true healing for bo Every so often, I read a novel that causes me to feel things incredibly deeply, submerging me into the pain and joy, trials and triumphs of the characters in a truly tangible way. Cottage by the Sea is one such novel, poignant, rich, reaching down into my soul and leaving me moved by the story contained within its pages. My heart both broke and rejoiced as I read Erin's story and watched her walk through a journey of discovery with her father, a journey that ultimately led to true healing for both. I think that this story especially spoke to me as I considered my own relationship as a father to my own daughters, and as I imagined how I am showing them my love and care. Am I making them feeling cared for and cherished? Are there things I could be doing differently so that when the end of my life draws near, we won't have to work through a closet full of regrets? Robin Jones Gunn has penned a well-crafted novel, one that not only mines the depths of the heart, but entertains as well, because I found that the story moved along at an excellent pace while also letting you savor the unfolding of the story. I highly recommend this book for those readers seeking a worthy contemporary novel that will leave you feeling uplifted by the time you turn the last page. Be prepared to shed a tear! 5 out of 5 stars. So glad I discovered Robin Jones Gunn. Sometimes I felt like she was inside my mind because I have experienced so many things that she wrote about. The main character, Erin, has just achieved a long hoped for dream, but she must choose whether to sacrifice that dream for a higher purpose. The story is filled with beautifully expressed truths that really resonated with me. Erin gets courage and inspiration from some journal entries written by her deceased mother, but it is not overdone (you don't So glad I discovered Robin Jones Gunn. Sometimes I felt like she was inside my mind because I have experienced so many things that she wrote about. The main character, Erin, has just achieved a long hoped for dream, but she must choose whether to sacrifice that dream for a higher purpose. The story is filled with beautifully expressed truths that really resonated with me. Erin gets courage and inspiration from some journal entries written by her deceased mother, but it is not overdone (you don't get stuck in the journal--just a couple of references). The setting is a house right above the ocean and the author is especially good at appealing to all of your senses to help you really experience the natural beauty. Some of the story themes explore the importance of a father's acceptance and love for his daughter, faith, sacrifice, determination, forgiveness, gratitude, and family unity. Fortunately, I had a box of kleenex right next to me as I read the final chapters. It IS a happy ending, but it was heart wrenching for me because it brought to mind my own father's passing. This book will have a softening effect on your heart and may even help you to let go of old grievances. I grew up reading books by Robin Jones Gunn, beginning with Christy Miller. I love that the characters I grew up with continue to show up in future books, even if they aren't a part of a series! It's kind of like a sneak peek into their future lives. This book offers a poignant look at a woman dealing with her aging father. In some ways, it reminded me of my grandfather, after my grandmother passed away. His re-marriage was difficult for me, mostly because I felt like he was not acknowledging my I grew up reading books by Robin Jones Gunn, beginning with Christy Miller. I love that the characters I grew up with continue to show up in future books, even if they aren't a part of a series! It's kind of like a sneak peek into their future lives. This book offers a poignant look at a woman dealing with her aging father. In some ways, it reminded me of my grandfather, after my grandmother passed away. His re-marriage was difficult for me, mostly because I felt like he was not acknowledging my grandmother. I realize, now that it's been 15 years, that that wasn't the case, but a kid's mind is funny. I read most of this book, choking back the tears. Cottage By The Sea is a very emotional, touching book that tells a powerful story. Erin Bryce is starting some new chapters in her life as business owner, mother of the groom, and mother-in-law. As she prepares to embark on these new and exciting adventures, an unexpected medical crisis with her father brings her plans to a screeching halt. Erin rushes to be by her father’s side and faces her difficult step-mother while trying to reconnect with he I read most of this book, choking back the tears. Cottage By The Sea is a very emotional, touching book that tells a powerful story. Erin Bryce is starting some new chapters in her life as business owner, mother of the groom, and mother-in-law. As she prepares to embark on these new and exciting adventures, an unexpected medical crisis with her father brings her plans to a screeching halt. Erin rushes to be by her father’s side and faces her difficult step-mother while trying to reconnect with her father. Erin uncovers some painful emotions during her visit and discovers what it means to make some very difficult choices. Any reader who is or has dealt with the health challenges of an aging parent, will be able to completely relate to Erin in this story.